Lymphedema is an extremely debilitating condition caused by an inability of the lymphatic system to properly drain excessive fluid from the patient’s extremity. This may lead to chronic swelling, pain, compromised mobility, hardening of the skin, and predisposition to infections. In the United States, lymphedema most commonly occurs in the upper extremity following removal of the lymph nodes as part of the treatment for breast cancer. Sadly, there is no cure for lymphedema. In general, only conservative techniques, known as complete decongestive therapy, that include massage, skin care, exercise, and compression wraps are offered to patients as treatment. Unfortunately, these therapies can be time consuming, difficult to perform on a regular basis, and expensive. However, surgical procedures such as lymphovenous bypass and lymph node transfer may benefit certain patients suffering from lymphedema. Only few practitioners around the world offer these procedures, therefore many patients with lymphedema are unaware that these surgical options exist. It is important to know that these procedures are not cures for lymphedema. Rather, for some patients, they may offer an alternative method to potentially mitigate the symptoms and lessen dependence on complete decongestive therapy. Dr. Blechman performs these procedures only on patients suffering from upper extremity lymphedema as a result of breast cancer treatment. Candidates for the procedure must be under the care of a qualified lymphedema therapist. If you are not currently cared for by one, we can refer you. Inside our bodies is a network of lymphatic vessels that bring excess fluid (referred to as lymph) back to the heart, similar to how veins carry blood. Ultimately, the lymphatic vessels empty into the large veins near the heart and the lymph is recycled back into the bloodstream. However, in patients with lymphedema this system does not function properly. This imbalance results in an accumulation of fluid in the affected extremity, which manifests as swelling and can lead to pain, infections, and immobility. Over time, the swelling in the soft tissues may become thick and firm. A lymphovenous bypass is a procedure to reroute the lymphatic channels into functioning veins so that the lymph can bypass whatever blockage is occurring in the lymphatic system and still be transported back to the heart via the veins. Special imaging techniques referred to as lymphangiography are performed first to determine if the architecture of your lymphatic vessels is amenable to a bypass. If you are a candidate, the procedure is performed by creating small incisions in the skin where lymphatic channels can be visualized intersecting with small veins. These incisions are approximately one inch in length, and usually one bypass is performed within each incision. Dr. Blechman typically performs lymphovenous bypass as an outpatient procedure. There is very little postoperative pain. A special wrap will be worn around the affected limb for approximately three weeks until returning to your preoperative therapy regimen. In a period of weeks to months, patients may experience reductions in limb volume, a softer quality to the swelling, decreased dependence on complete decongestive therapy, and improved quality of life. Dr. Blechman takes a conservative and educated approach to lymphedema surgery, and will discuss in detail all the risks, alternatives, and benefits prior to performing surgery. We only perform these procedures on patients suffering from upper extremity lymphedema as a result of breast cancer treatment. Candidates for the procedure must be under the care of a qualified lymphedema therapist. If you are not currently cared for by one, we can refer you. Lymph nodes are small structures that are located throughout the body and are intimately associated with the lymphatic channels that drain excess fluid (referred to as lymph) from the tissues. Certain cancers may metastasize through the lymphatic channels and become deposited within the lymph nodes. When lymph nodes are surgically removed as part of an operation for treating cancer, the lymphatic channels may be injured, potentially preventing the proper transport of lymph from the extremity back to the heart. Over time, this backflow of lymph may develop into lymphedema. A lymph node transfer is a procedure where carefully selected lymph nodes are removed from another part of the body and transferred to the limb with lymphedema. Once the lymph nodes are transferred, the blood vessels that supply them are reattached to blood vessels in their new location. This keeps the lymph nodes alive and allows them to reintegrate into the body and help restore a properly functioning lymphatic system. This may help to drain excess fluid from the limb. The most common donor site for lymph nodes is the groin. Patients may need to spend at least one night in the hospital following the procedure. 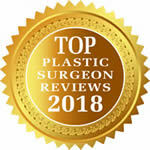 Due to the scar release during surgery, some patients may feel some relief of their symptoms immediately. In a period of weeks to months, patients may experience reductions in limb volume, a softer quality to the swelling, decreased dependence on complete decongestive therapy, and improved quality of life. 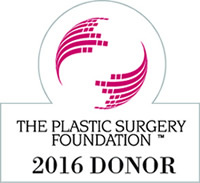 Lymph node transfer can also be done in conjunction with free flap breast reconstruction. In this situation the lymph nodes are transferred as part of the flap that is used to reconstruct the breast. 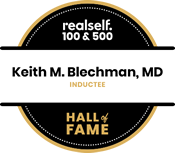 Dr. Blechman takes a conservative and educated approach to lymphedema surgery, and will discuss in detail all the risks, alternatives, and benefits prior to performing surgery.